You are here: Home / Blogs / Raring To Start Your Own Business In Singapore? In August 2012, three undergraduates from the National University of Singapore had a spark of an idea. They thought, “Why should we not make it simple for Singaporeans to sell things they no longer need but do not have the means to do so?” From that seed of a thought spawned the mobile app Carousell, which went on to be a major success and was subsequently acquired by the Indian Digital Services Network, To The New. However, the founders of Carousell did not have it easy. They needed capital to fuel product development, hire staff, and afford server hosting and web services. How did they obtain the funding they needed? The three entrepreneurs behind Carousell were beneficiaries of the Action Community for Entrepreneurship (ACE) startups grant, which gave them the much needed boost to propel their business forward to the mammoth success they achieved today. A funding support meant to assist first-time entrepreneurs, the ACE startups grant has been the pillar of support for many entrepreneurs to emerge successfully in the competitive Singaporean marketplace. The grant can help entrepreneurs to pay for manpower costs, operating expenses, equipment, software, materials, consumables, IP rights, professional services, marketing and promotional activities. Here are some of the common questions many potential entrepreneurs wonder about the ACE startups grant. What are the requirements for me to apply for the ACE startups grant? Are you a Singaporean or PR? Is this the first business you registered or incorporated in the last 6 months? Do you hold at least 51% equity in your company? Are you the main decision maker of the company? Are you committed to working for the company on a full-time basis? Is this the first Government funding you are seeking for this business proposal? If you have answered a resounding yes to all the questions above, then rest assured, you are eligible to apply for the ACE startups grant. Great! How much of capital can I receive? 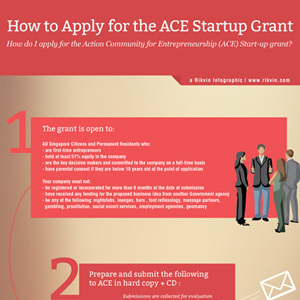 The ACE startups grant is essentially a co-funding scheme. It is commensurate to the amount you have raised for your business, matching $7 to every $3 raised. Let me illustrate this with an example. However, should you be planning to venture into a capital intensive industry, then you can apply for an additional grant of $50,000. Similarly, the applicant of the grant will have to co-match the grant by committing a commensurate amount. 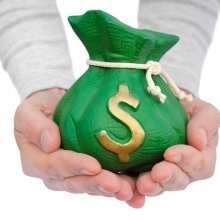 For instance, to obtain a grant of $100,000, you must commit $138, 095. Sounds good. Is there a catch to this? I’m ready to apply for the ACE Startups grant. How do I go about it? Upon submission, you will hear from the ACE Secretariat within a week if your business proposal is shortlisted for presentation and evaluation. How will my business plan be assessed to obtain the ACE startups grant? How unique are the products or services offered by your business compared to the competitors in the market? Is your revenue model sustainable for your company to manage its cash flow and expand eventually? How big is your target market and how will your company reach out to them? How committed, passionate, and equipped are you and your fellow entrepreneurs (if any) in executing this business proposal? This is clearly a huge leap in making your dream business come alive, and involves a lot of your commitment and understanding of the business. Thus, do not hesitate to seek all the help you need to start your business! Get in touch with Rikvin to help you to start your business in Singapore! Rikvin in Singapore Business Review!